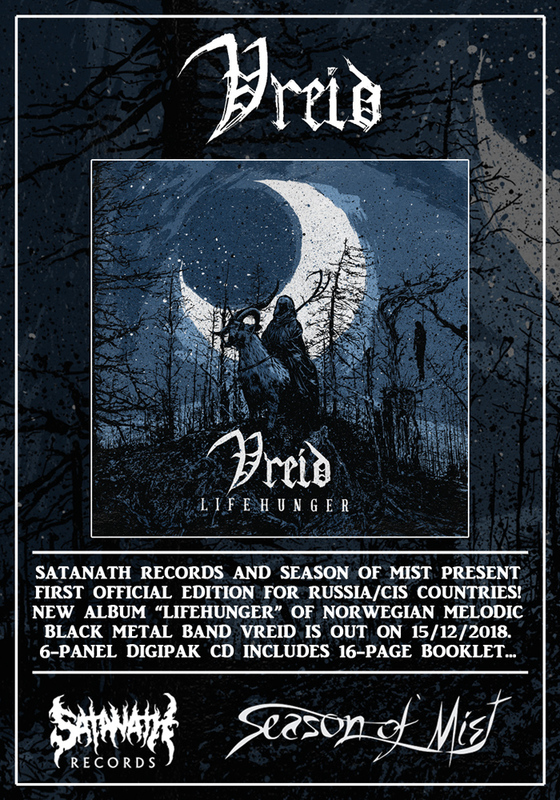 On September 28th, Norwegian black metallers Vreid released their new album Lifehunger, but it's only being released in Russia/CIS this month. Now, Russian metalheads can officially buy it on December 15th. Starting today, the band embarks on a co-headline European tour with Kalmah. Don't miss it! The band said: "We are very proud to announce that Lifehunger will be officaly releases in Russia on December 15th. Hope that all our Russian follower will enjoy the album, and that we will be able to come visit you during 2019."